Have you ever felt frustrated when try to look for some data on Google? Pages of relevant websites but none can fulfill your expectation? 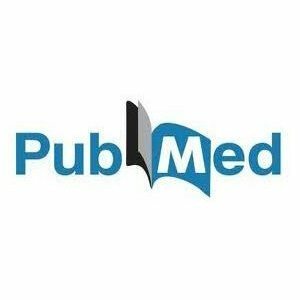 Have you ever felt that your articles are less persuasive without data support? 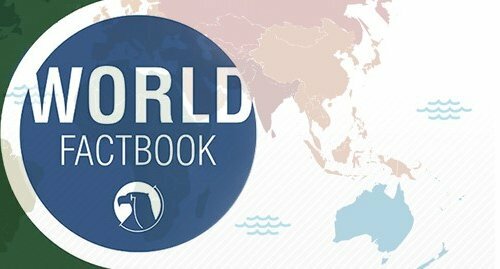 Let’s put this article on your favorite list, the most comprehensive guide of data sources, including General Data, Government Data, Market Data for U.S. and China, and etc. World Health Organization offers data and analysis on global health priorities, like world hunger, health, and disease. The Broad Institute offers a number of data sets in biology and medicine. Amazon Web Service is a cross-science cloud-based data platform concerning Chemistry, Biology, Economy, and so on. It is also an attempt to build the most comprehensive database of human genetic information and NASA’s database of satellite imagery of Earth. Figshare is a platform for sharing research results. In here, you would be able to see some amazing findings from amazing people around the globe. Sometimes UCLA shares some of their findings in research papers. Some cool guys built the GitHub community, sharing bunch of awesome data sets. Now the data inside is offered by everyone, and offered to everyone. Pew Research Center offers its raw data from its fascinating research into American life. 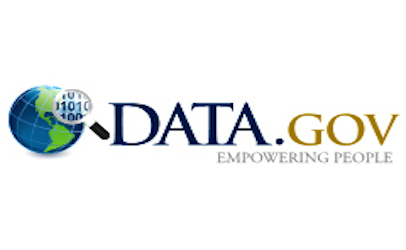 Data.gov is the home of the U.S. government’s open data. You could find data, tools and resources here to conduct research, data visualization, etc. 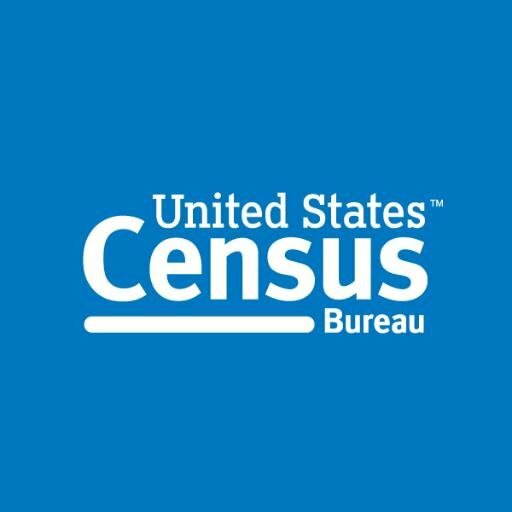 US Census Bureau is a wealth of information on the lives of US citizens covering population data, geographic data and education. Open Data Network is an easy-searching website for you to find government related data, with nice visualization tools built-in. The European Union Open Data is for accessing a growing range of data from European Union Institution. Canada Open Data enables you to get quick, easy access to the government of Canada's most requested services and information. This website provides visitors with great open government data from US, EU, Canada, CKAN, and more. Gov.uk is the data from the UK Government, including the British National Bibliography – metadata on all UK books and publications since 1950. Health Data Gov is dedicated to making high value health data more accessible to entrepreneurs, researchers, and policy makers in the hopes of better health outcomes for all. It has 125 years of US healthcare data including claim-level Medicare data, epidemiology and population statistics. Unicef offers statistics and reports on the situation of children worldwide. National Climatic Data Center is a huge collection of environmental, meteorological and climate data sets from the US National Climatic Data Center. The world’s largest archive of weather data. 20. Google public data includes data from world development indicators, OECD, and human development indicators, mostly related to economics data and the world. 21. Google Trends Statistics on search volume (as a proportion of total search) for any given term, since 2004. 22. Google Finance 40 years’ worth of stock market data, updated in real time. Two of the biggest E-commerce platforms in U.S., listing tons of products for customers. In the meanwhile, offers product information for marketers and researchers for analyses. Many restaurants are listed on this website, customers do reviews about restaurants and these reviews can help other customers choose which restaurants to dine. Also, restaurant information and customer reviews are extremely valuable for marketer to study. Yellowpages is a big brand even before we entered the Internet era. The website offers business info. This website provides car info, both used cars and new cars. Also including the owner’s contacting info. These three websites list houses, apartments that are on sales or for rent, and offers very comprehensive housing info. A platform for customers to review great hotels around the world. It allows visitors to find the best hotels for vacation through reviews, and these reviews are very worthy studying if you’re in hotel industry. A recruiting website, listing thousands of vacant positions. 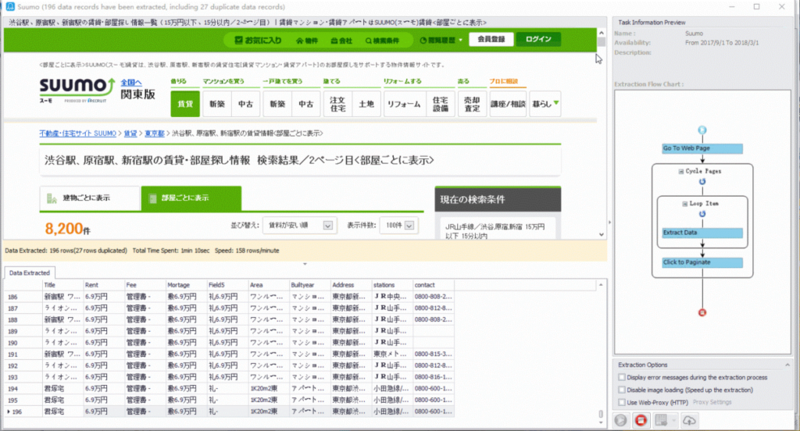 Information extracted can be used for labor cost studying. The best social media for formal communicating. Thousands of users are registered, and user profiles are quite convincing. Very useful for people try to find a job, or get some sales leads. As we all know, China is a market with huge potentials, so I also listed some websites to get Chinese Market Data. These websites gather comprehensive data of real estates in China. The blooming of China real estate market makes the housing price a hot spot for the society, these sites offer massive and reliable data for people doing their research about real estate in China. China’s E-commerce companies supply massive products to the world, many gadgets are imported from China, and they swept over the globe, so how do China’s E-commerce platform look like? Ain’t you guys curious about? China has always been a market with huge potential that every car manufacturer wants to seize. The best website for market researchers to collect data is AUTOHOME, gathers tons of data and consumer reviews, best for Chinese car market analysis. These two websites lead the China Car rental market. Collecting car usage information can help you conduct analyses relevant. Extract data from these websites, you’ll be able to get the knowledge of how transportation, hotel, and travel markets are going in China. The above websites are similar to Yelp, and due to the richer and richer Chinese people are getting, these sites comment quality is relatively high, because people is getting more picky. These websites gain thousands of undergraduate users every year, for it offering great jobs. My idea of extracting data from these sites, we can learn the market demands over certain industries. Nowadays it's a world of information integration, data sources shown above are just the tip of the iceberg. Since we are entering the big data era, it's no more about we utilizing the data, we move forward, conversely, it's about if we don't utilize the data, we fall back. As an ancient Chinese proverb says, "He who does not advance loses ground." There are thousands of big data tools out there for data analysis today. Data analysis is the process of inspecting, cleaning, transforming, and modeling data with the goal of discovering useful information, suggesting conclusions, and supporting decision making. To save your time, in this post, I will list out 30 top big data tools for data analysis in the areas ofopen source data tools, data visualization tools, sentiment tools, data extraction tools and databases. KNIME Analytics Platform is the leading open solution for data-driven innovation, helping you discover the potential hidden in your data, mine for fresh insights, or predict new futures. With more than 1000 modules, hundreds of ready-to-run examples, a comprehensive range of integrated tools, and the widest choice of advanced algorithms available, KNIME Analytics Platform is the perfect toolbox for any data scientist. OpenRefine (formerly Google Refine) is a powerful tool for working with messy data: cleaning it, transforming it from one format into another, and extending it with web services and external data. 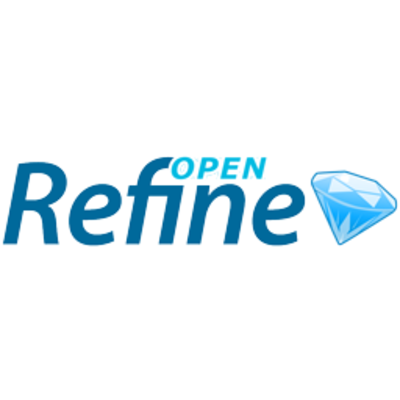 OpenRefine can help you explore large data sets with ease. What if I tell you that Project R, a GNU project, is written in R itself? It’s primarily written in C and Fortran. And a lot of its modules are written in R itself. It’s a free software programming language and software environment for statistical computing and graphics. 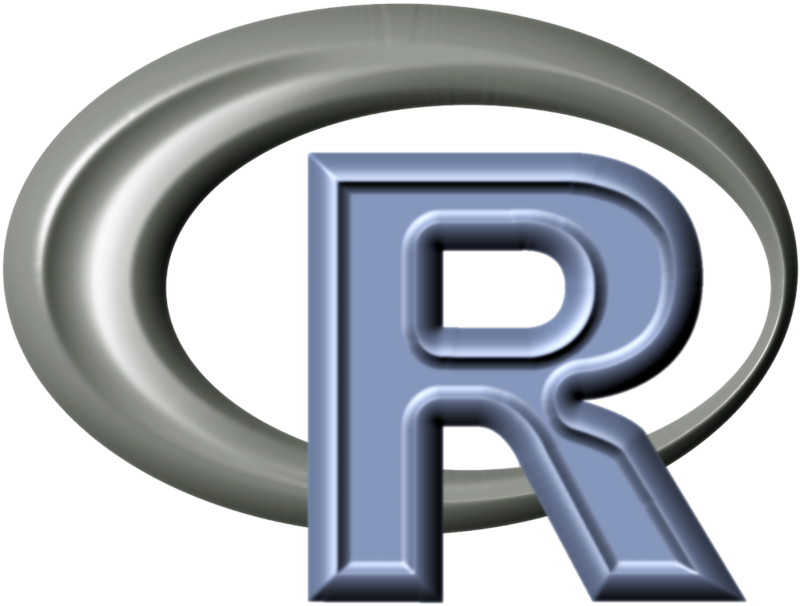 The R language is widely used among data miners for developing statistical software and data analysis. Ease of use and extensibility has raised R’s popularity substantially in recent years. Besides data mining it provides statistical and graphical techniques, including linear and nonlinear modeling, classical statistical tests, time-series analysis, classification, clustering, and others. 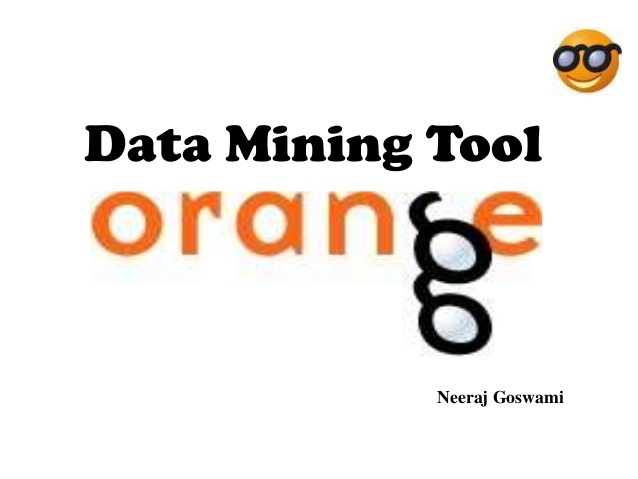 Orange is open source data visualization and data analysis for novice and expert, and provides interactive workflows with a large toolbox to create interactive workflows to analyse and visualize data. Orange is packed with different visualizations, from scatter plots, bar charts, trees, to dendrograms, networks and heat maps. 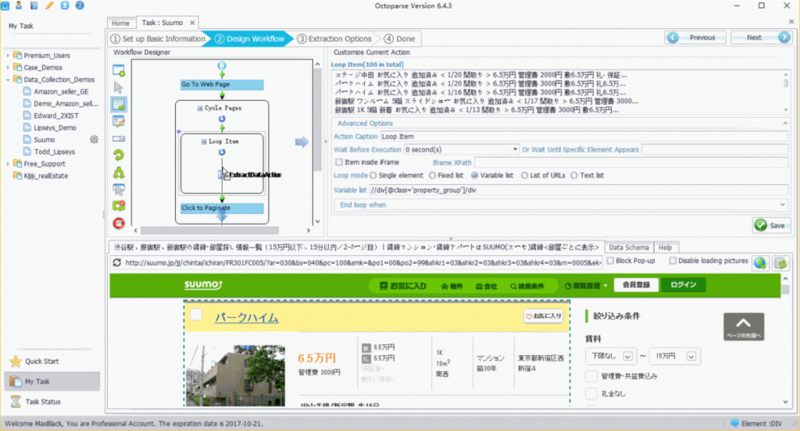 Much like KNIME, RapidMiner operates through visual programming and is capable of manipulating, analyzing and modeling data. 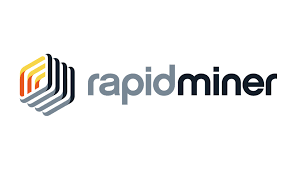 RapidMiner makes data science teams more productive through an open source platform for data prep, machine learning, and model deployment. Its unified data science platform accelerates the building of complete analytical workflows – from data prep to machine learning to model validation to deployment – in a single environment, dramatically improving efficiency and shortening the time to value for data science projects. Pentaho addresses the barriers that block your organization's ability to get value from all your data. The platform simplifies preparing and blending any data and includes a spectrum of tools to easily analyze, visualize, explore, report and predict. Open, embeddable and extensible, Pentaho is architected to ensure that each member of your team — from developers to business users — can easily translate data into value. Weka, an open source software, is a collection of machine learning algorithms for data mining tasks. The algorithms can either be applied directly to a data set or called from your own JAVA code. It is also well suited for developing new machine learning schemes, since it was fully implemented in the JAVA programming language, plus supporting several standard data mining tasks. For someone who hasn’t coded for a while, Weka with its GUI provides easiest transition into the world of Data Science. Being written in Java, those with Java experience can call the library into their code as well. NodeXL is a data visualization and analysis software of relationships and networks. NodeXL provides exact calculations. It is a free (not the pro one) and open-source network analysis and visualization software. It is one of the best statistical tools for data analysis which includes advanced network metrics, access to social media network data importers, and automation. Gephi is also an open-source network analysis and visualization software package written in Java on the NetBeans platform. Think of the giant friendship maps you see that represent linkedin or Facebook connections. Gelphi takes that a step further by providing exact calculations. Datawrapper is an online data-visualization tool for making interactive charts. 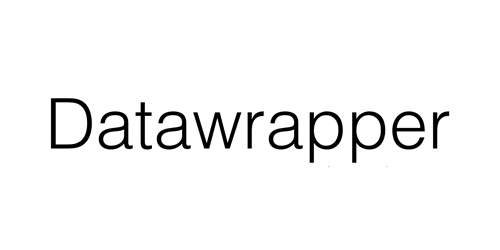 Once you upload the data from CSV/PDF/Excel file or paste it directly into the field, Datawrapper will generate a bar, line, map or any other related visualization. Datawrapper graphs can be embedded into any website or CMS with ready-to-use embed codes. So many reporters and news organizations use Datawrapper to embed live charts into their articles. It is very easy to use and produces effective graphics. 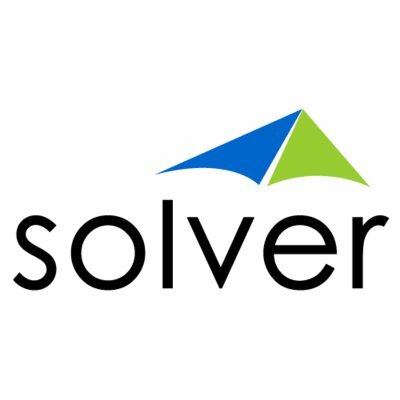 Solver specializes in providing world-class financial reporting, budgeting and analysis with push-button access to all data sources that drive company-wide profitability. Solver provides BI360, which is available for cloud and on-premise deployment, focusing on four key analytics areas. Qlik lets you create visualizations, dashboards, and apps that answer your company’s most important questions. Now you can see the whole story that lives within your data. 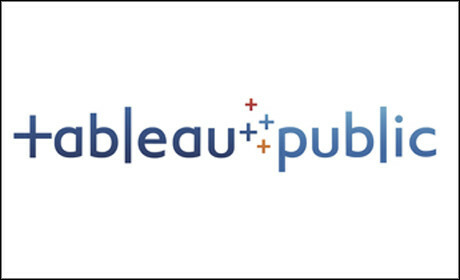 Tableau democratizes visualization in an elegantly simple and intuitive tool. It is exceptionally powerful in business because it communicates insights through data visualization. In the analytics process, Tableau's visuals allow you to quickly investigate a hypothesis, sanity check your gut, and just go explore the data before embarking on a treacherous statistical journey. Fusion TablesMeet Google Spreadsheets cooler, larger, and much nerdier cousin. Google Fusion tables is an incredible tool for data analysis, large data-set visualization, and mapping. Not surprisingly, Google's incredible mapping software plays a big role in pushing this tool onto the list. Take for instance this map, which I made to look at oil production platforms in the Gulf of Mexico. Infogram offers over 35 interactive charts and more than 500 maps to help you visualize your data beautifully. Create a variety of charts including column, bar, pie, or word cloud. You can even add a map to your infographic or report to really impress your audience. The OpenText Sentiment Analysis module is a specialized classification engine used to identify and evaluate subjective patterns and expressions of sentiment within textual content. The analysis is performed at the topic, sentence, and document level and is configured to recognize whether portions of text are factual or subjective and, in the latter case, if the opinion expressed within these pieces of content are positive, negative, mixed, or neutral. Semantria is a tool that offers a unique service approach by gathering texts, tweets, and other comments from clients and analyzing them meticulously to derive actionable and highly valuable insights. Semantria offers text analysis via API and Excel plugin. It differs from Lexalytics in that it is offered via API and Excel plugin, and in that it incorporates a bigger knowledge base and uses deep learning. Trackur’s automated sentiment analysis looks at the specific keyword you are monitoring and then determines if the sentiment towards that keyword is positive, negative or neutral with the document. That’s weighted the most in Trackur algorithm. It could use to monitor all social media and mainstream news, to gain executive insights through trends, keyword discovery, automated sentiment analysis and influence scoring. SAS sentiment analysis automatically extracts sentiments in real time or over a period of time with a unique combination of statistical modeling and rule-based natural language processing techniques. Built-in reports show patterns and detailed reactions. So you can hone in on the sentiments that are expressed. Opinion Crawl is an online sentiment analysis for current events, companies, products, and people. Opinion Crawl allows visitors to assess Web sentiment on a topic - a person, an event, a company or a product. You can enter a topic and get an ad-hoc sentiment assessment of it. For each topic you get a pie chart showing current real-time sentiment, a list of the latest news headlines, a few thumbnail images, and a tag cloud of key semantic concepts that the public associates with the subject. The concepts allow you to see what issues or events drive the sentiment in a positive or negative way. For more in-depth assessment, the web crawlers would find the latest published content on many popular subjects and current public issues, and calculate sentiment for them on ongoing basis. Then the blog posts would show the trend of sentiment over time, as well as the Positive-to-Negative ratio. Octoparse is a free and powerful website crawler used for extracting almost all kind of data you need from the website. You can use Octoparse to rip a website with its extensive functionalities and capabilities. Its point-and-click UI helps non-programmers to quickly get used to Octoparse. It allows you to grab all the text from the website with AJAX, Javaxript and thus you can download almost all the website content and save it as a structured format like EXCEL, TXT, HTML or your databases. 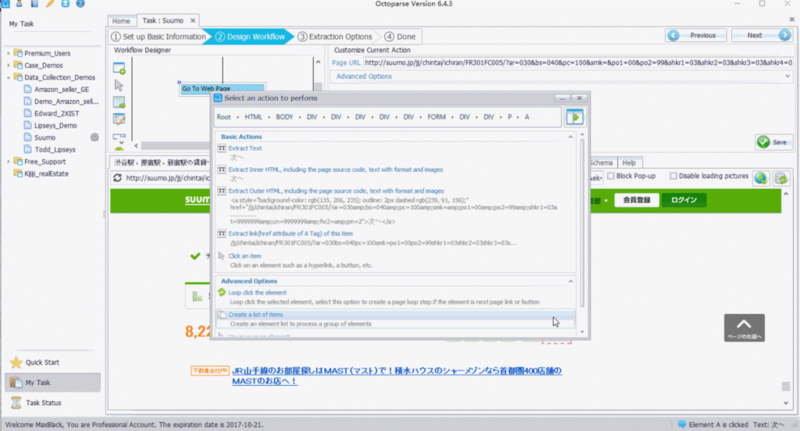 Content Graber is a web crawling software targeted at enterprises. It can extract content from almost any website and save it as structured data in a format of your choice, including Excel reports, XML, CSV and most databases. It is more suitable for people with advanced programming skills, since it offers many powerful scripting editing, debugging interfaces for people in need. Users are allowed to use C# or VB.NET to debug or write script to control the crawling process programming. 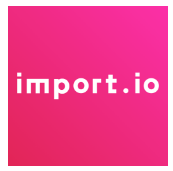 Import.io is a paid web-based data extraction tool to pull information off of websites used to be something reserved for the nerds. Simply highlight what you want and Import.io walks you through and "learns" what you are looking for. From there, Import.io will dig, scrape, and pull data for you to analyze or export. Mozenda is a cloud based web scraping service. 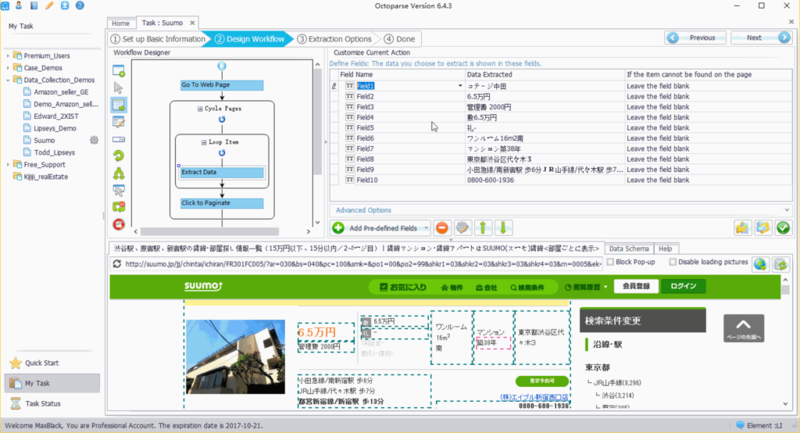 It provides many useful utility features for data extraction. Users will be allowed to upload extracted data to cloud storage. The US Government pledged last year to make all government data available freely online. This site is the first stage and acts as a portal to all sorts of amazing information on everything from climate to crime. Web crawling (also known as web scraping) is widely applied in many areas today. It targets at fetching new or updated data from any websites and store the data for an easy access. 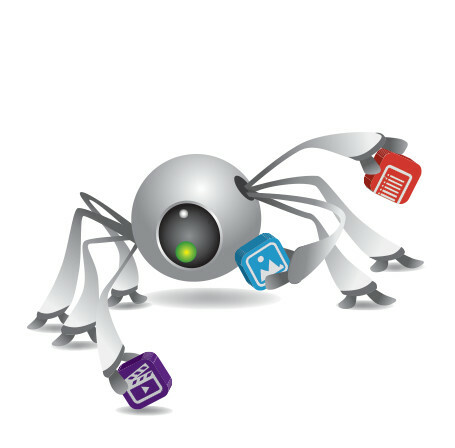 Web crawler tools are getting well known to the common, since the web crawler has simplified and automated the entire crawling process to make web data resource become easily accessible to everyone. Using a web crawler tool will set free people from repetitive typing or copy-pasting, and we could expect a well-structured and all-inclusive data collection. Additionally, these web crawler tools enable users to crawl the world wide web in a methodical and fast manner without coding and transform the data into various formats conforming to their needs. In this post, I’d propose top 20 popular web crawlers around the web for your reference. You may find the most suited web crawler that’s tailored to your needs. Octoparse is a free and powerful website crawler used for extracting almost all kind of data you need from the website. You can use Octoparse to rip a website with its extensive functionalities and capabilities. There are two kinds of learning mode - Wizard Mode and Advanced Mode - for non-programmers to quickly get used to Octoparse. After downloading the freeware, its point-and-click UI allows you to grab all the text from the website and thus you can download almost all the website content and save it as a structured format like EXCEL, TXT, HTML or your databases. And you could extract many tough websites with difficult data block layout using its built-in Regex tool, and locate web elements precisely using the XPath configuration tool. You will not be bothered by IP blocking any more, since Octoparse offers IP Proxy Servers that will automates IP’s leaving without being detected by aggressive websites. WebCopy is a free website crawler that allows you to copy partial or full websites locally in to your harddisk for offline reading. It will scan the specified website before downloading the website content onto your hardisk and auto-remap the links to resources like images and other web pages in the site to match its local path, excluding a section of the website. Additional options are also available such as downloading a URL to include in the copy, but not crawling it. HTTrack Works as a command-line program, or through a shell for both private (capture) or professionnal (on-line web mirror) use. With that saying, HTTrack should be preferred and used more by people with advanced programming skills. Getleft is a free and easy-to-use website grabber that can be used to rip a website. It downloads an entire website with its easy-to-use interface and multiple options. After you launch the Getleft, you can enter a URL and choose the files that should be downloaded before begin downloading the website. While it goes, it changes the original pages, all the links get changed to relative links, for local browsing.Additionally, it offers multilingual support, at present Getleft supports 14 languages.However, it only provides limited Ftp supports, it will download the files but not recursively. On the whole, Getleft should satisfy users’ basic crawling needs without more complex tactical skills. Scraper is a Chrome extension with limited data extraction features but it’s helpful for making online research, and exporting data to Google Spreadsheets. This tool is intended for beginners as well as experts who can easily copy data to the clipboard or store to the spreadsheets using OAuth. Scraper is a free web crawler tool, which works right in your browser and auto-generates smaller XPaths for defining URLs to crawl. It may not offer all-inclusive crawling services, but novices also needn’t tackle messy configurations. 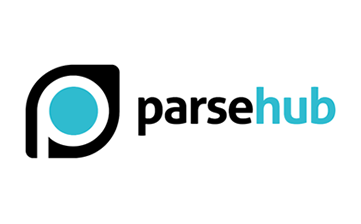 As a freeware, you can set up no more than five publice projects in Parsehub. The paid subscription plans allows you to create at least 20 private projects for scraping websites. VisualScraper is another great free and non-coding web scraper with simple point-and-click interface and could be used to collect data from the web. 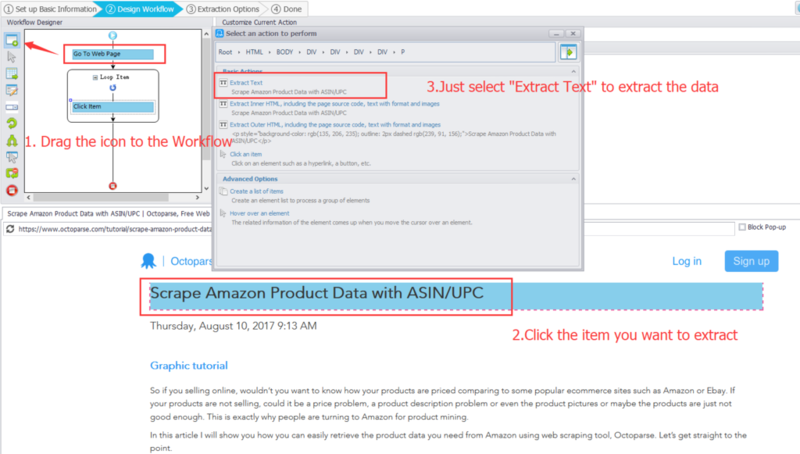 You can get real-time data from several web pages and export the extracted data as CSV, XML, JSON or SQL files. Besides the SaaS, VisualScraper offer web scraping service such as data delivery services and createing software extractors services. Visual Scraper enables users to schedule their projects to be run on specific time or repeat the sequence every minutes, days, week, month, year. Uers could use it to extract news, updates, forum frequently. Scrapinghub converts the entire web page into organized content. Its team of experts are available for help in case its crawl builder can’t work your requirements. .
As a browser-based web crawler, Dexi.io allows you to scrape data based on your browser from any website and provide three types of robot for you to create a scraping task - Extractor, Crawler and Pipes. The freeware provides anonymous web proxy servers for your web scraping and your extracted data will be hosted on Dexi.io’s servers for two weeks before the data is archived, or you can directly export the extracted data to JSON or CSV files. It offers paid services to meet your needs for getting real-time data. And you can save the scraped data in XML, JSON and RSS formats. And users are allowed to access the history data from its Archive. Plus, webhose.io supports at most 80 languages with its crawling data results. And users can easily index and search the structured data crawled by Webhose.io. 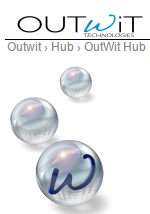 On the whole, Webhose.io could satisfy users’ elementary crawling requirements. Users are able to form their own datasets by simply importing the data from a particular web page and exporting the data to CSV. You can easily scrape thousands of web pages in minutes without writing a single line of code and build 1000+ APIs based on your requirements. 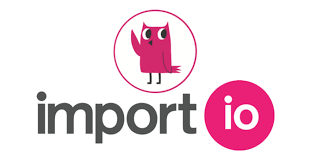 Public APIs has provided powerful and flexible capabilities to control Import.io programmatically and gain automated access to the data, Import.io has made crawling easier by integrating web data into your own app or web site with just a few clicks. To better serve users' crawling requirements, it also offers a free app for Windows, Mac OS X and Linux to build data extractors and crawlers, download data and sync with the online account. 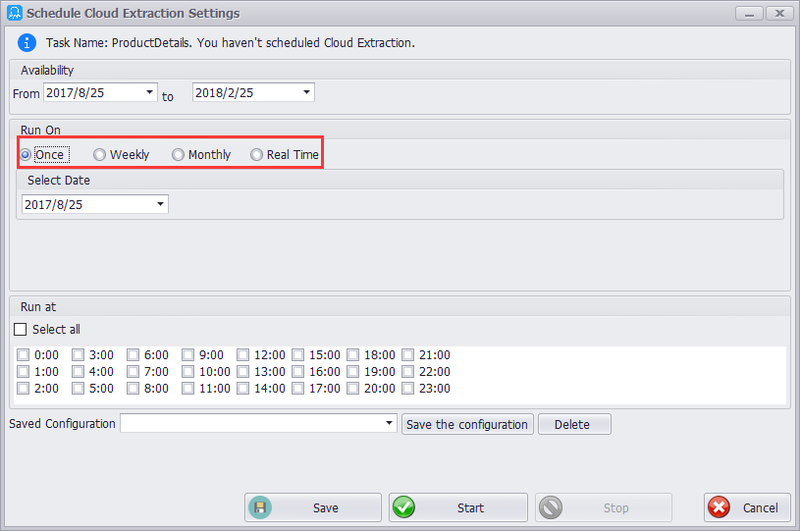 Plus, users are able to schedule crawling tasks weekly, daily or hourly. Spinn3r allows you to fetch entire data from blogs, news & social media sites and RSS & ATOM feeds. Spinn3r is distributed with a firehouse API that manages 95% of the indexing work. It offers an advanced spam protection, which removes spam and inappropriate language uses, thus improving data safety. Spinn3r indexes content similar to Google and saves the extracted data in JSON files. The web scraper constantly scans the web and finds updates from multiple sources to get you real-time publications. Its admin console lets you control crawls and full-text search allows making complex queries on raw data. 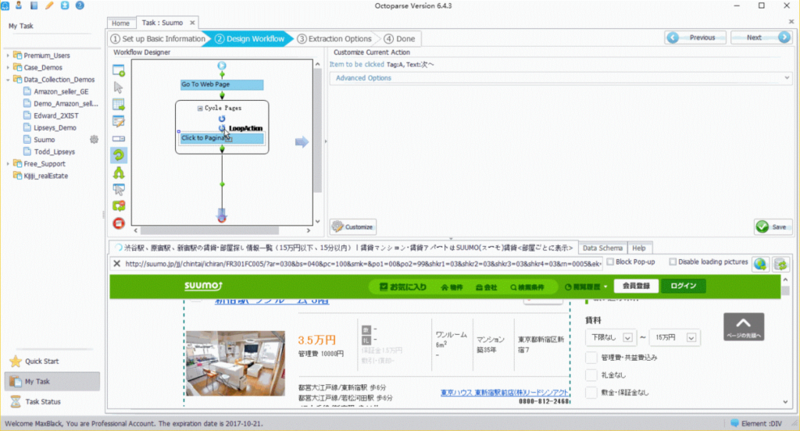 Content Graber is a web crawling software targeted at enterprises. It allows you to create a stand-alone web crawling agents. It can extract content from almost any website and save it as structured data in a format of your choice, including Excel reports, XML, CSV and most databases. 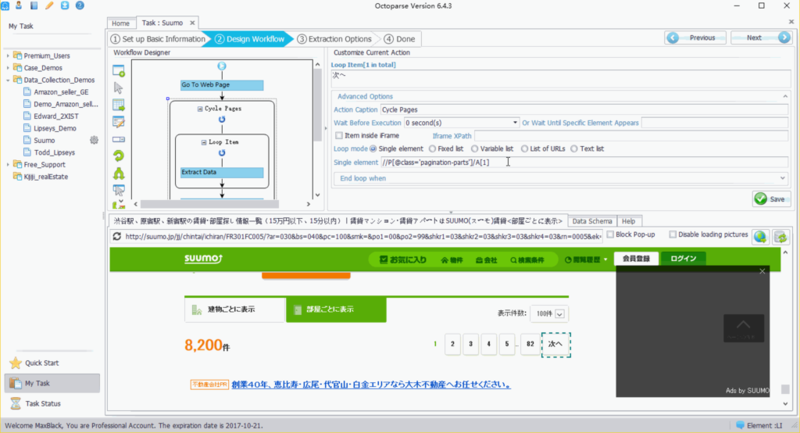 It is more suitable for people with advanced programming skills, since it offers many powerful scripting editing, debugging interfaces for people in need. Users are allowed to use C# or VB.NET to debug or write script to control the crawling process programmingly. For example, Content Grabber can integrate with Visual Studio 2013 for the most powerful script editing, debugging and unit test for a advanced and tactful customized crawler based on users’ particular needs. Helium Scraper is a visual web data crawling software that works pretty well when the association between elements is small. It’s non coding, non configuration. And users can get access to the online templates based for various crawling needs. Basically, it could satisfy users’ crawling needs within an elementary level. 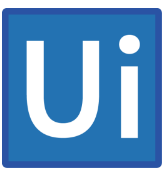 UiPath is a robotic process automation software for free web scraping. 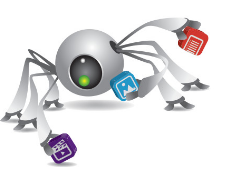 It automates web and desktop data crawling out of most third-party Apps. You can install the robotic process automation software if you run Windows system. Uipath is able to extract tabular and pattern-based data across multiple web pages. Uipath has provided the built-in tools for further crawling. This method is very effective when dealing complex UIs. 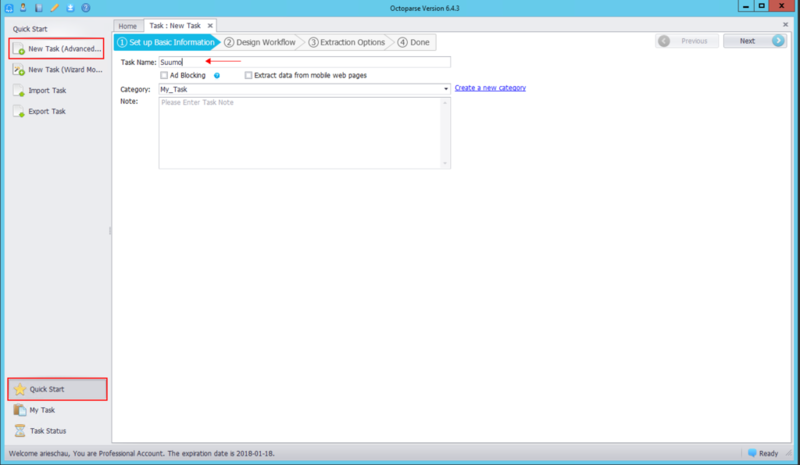 The Screen Scraping Tool can handle both individual text elements, groups of text and blocks of text, such as data extraction in table format. Scrape.it is a node.js web scraping software for humans. It’s a cloud-base web data extraction tool. It’s designed towards those with advanced programming skills, since it has offered both public and private packages to discover, reuse, update, and share code with millions of developers worldwide. Its powerful integration will help you build a customized crawler based on your needs. Users can save the data extracted from web pages in a variety of formats. The current version of WebHarvy Web Scraper allows you to export the scraped data as an XML, CSV, JSON or TSV file. 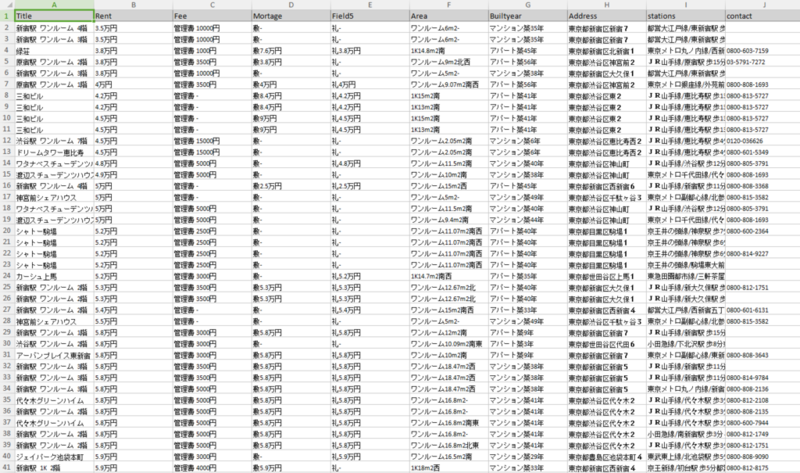 User can also export the scraped data to an SQL database. Connotate is an automated web crawler designed for Enterprise-scale web content extraction which needs an enterprise-scale solution. Business users can easily create extraction agents in as little as minutes – without any programming. 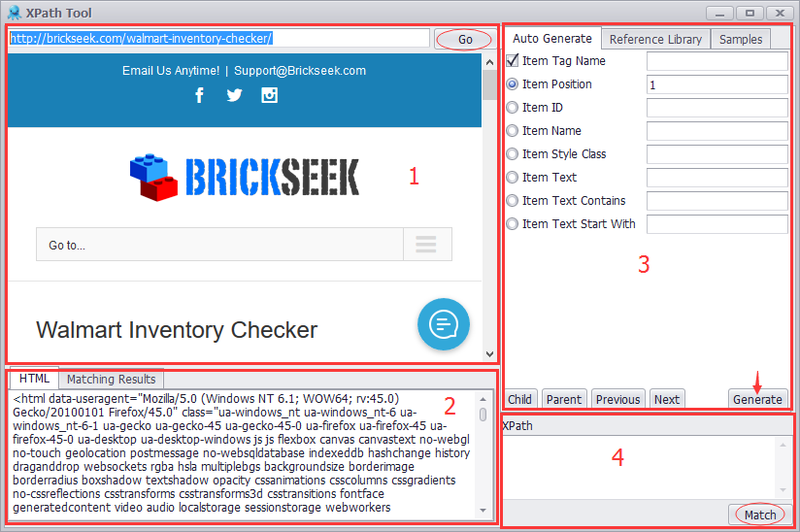 User can easily create extraction agents simply by point-and-click. To conclude, the crawlers I mentioned above can satisfy the basic crawling needs for most users, while there are still many variance about their respective functionalities among these tools, since many of these crawler tools have provided more advanced and built-in configuration tools for users. Thus, be sure you have fully understand what characters an crawler has provided before you subscribe it.